I have often said, I must go and see that when travelling around Dublin, but seldom follow through. For many years, I have passed by the gates of Glasvnevin Cemetery and said these words. But I recently was invited to join a couple of friends on a tour of this amazing cemetery which is the final resting place of many of Ireland’s leading patriots, rebels, politicians and writers. I was amazed by some of the features of the tour, particularly with the visit into the burial crypt of Daniel O’Connell (1775 – 1847) The Liberator (Bio on wikipedia), whose importance in Irish and world history was well stated by President Barack Obama in his keynote address on Dublin’s College Green (the site of one of O’Connell’s famous Monster Meetings) when visited Ireland recently. I am digressing. Inside the O’Connell crypt we were told by our guide Daniel O’Connell’s body lies perfectly preserved in a lead-lined oak casket, and it is considered good luck to pop your hand in under the plinth and touch the coffin. The lead-lined coffins of O’Connell’s family and descendents are stacked one above the other in an alcove alongside The Liberator and to the back of the crypt the O’Connell Tower marks the spot inside the entrance of the graveyard and dominates the local skyline. 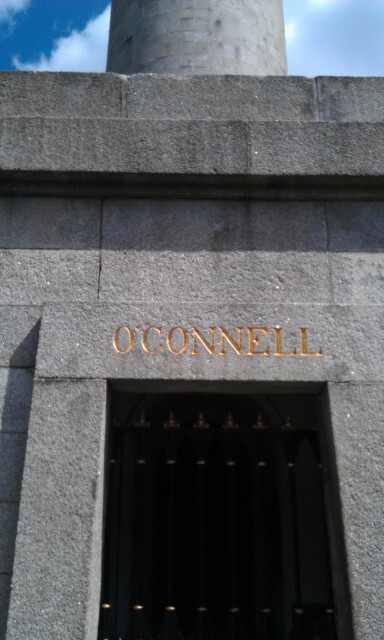 Outside of the crypt there is a circle of tombs where lie the bodies of prominent citizens who paid to erect the fitting tribute to O’Connell. O’Connell died in Genoa, Italy. His dying wish of having his buried in Rome and the rest of his body in Ireland was complied with. The eminence of his crypt in Glasnevin Cemetery is indicative of the incredible esteem in which he was held. 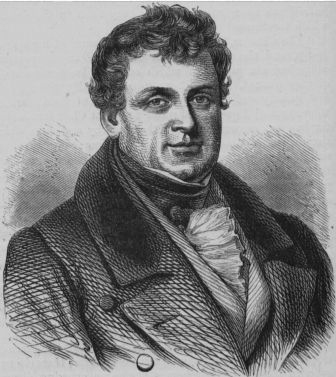 Amongst other things, it was O’Connell who fought to open Glasnevin Cemetery in 1832 as the first nondenominational cemetery in Ireland, and he was an advocate for human rights across a whole range of areas including the abolition of slavery. Glasnevin Cemetery is also the final resting place of Charles Stewart Parnell, Arthur Griffith, Michael Collins, Eamonn DeValera, Brendan Behan, Christy Brown and Maude Gonne, and each grave has its own unique story. Glasnevin Cemetery is a 10-minute walk from Egans House and there are organised tours each day. Contact reception to find out more. Posted on August 12, 2011, in Things to do in Dublin, Things to see around Egans House. Bookmark the permalink. Leave a comment. Get the basics of QROPS Pension information and find out more about Retirement, Investments, Tax, Currency and general financial news. “Romantic Ireland’s dead and gone”……W.B Yeats….Ah! Not for some….St.Valentine’s Day, February 14th is nearly upon us. Come and stay with us on this special occasion!